I want to finish with a quick look at the main ways that pattern was used in this piece, and how this affected the rhythm of the piece. 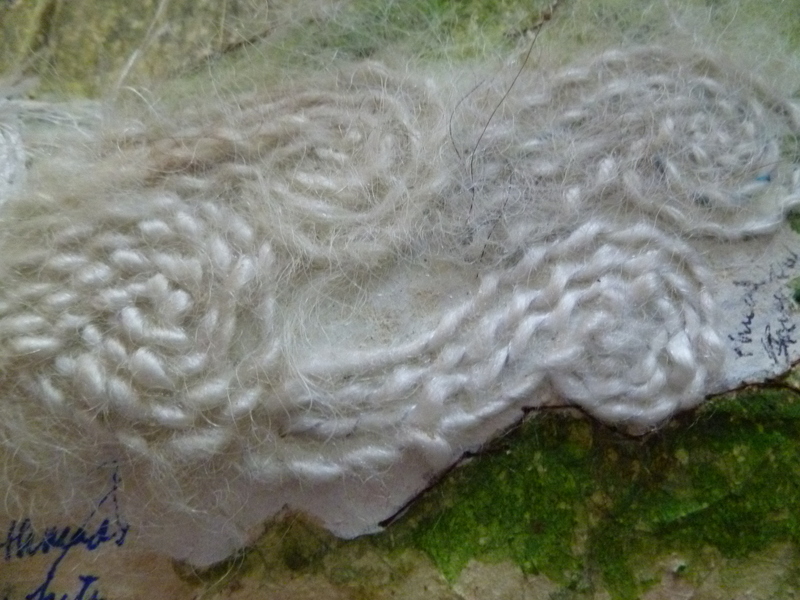 The primary pattern motif used was a simple swirl. The swirl forms the spirals of the garden’s raked gravel and is seen again in the swirls of the clouds. To add variation to the rhythm of the clouds the spiral was changed slightly on each long side. One side has four swirls per pattern and they are facing down, while the other side has three swirls per pattern and they are facing up. The three-swirl pattern also has less swoop to its swirl. This variation is possible because the pattern is divisible. It is the repetition of the swirl that creates movement and really brings the clouds to life. 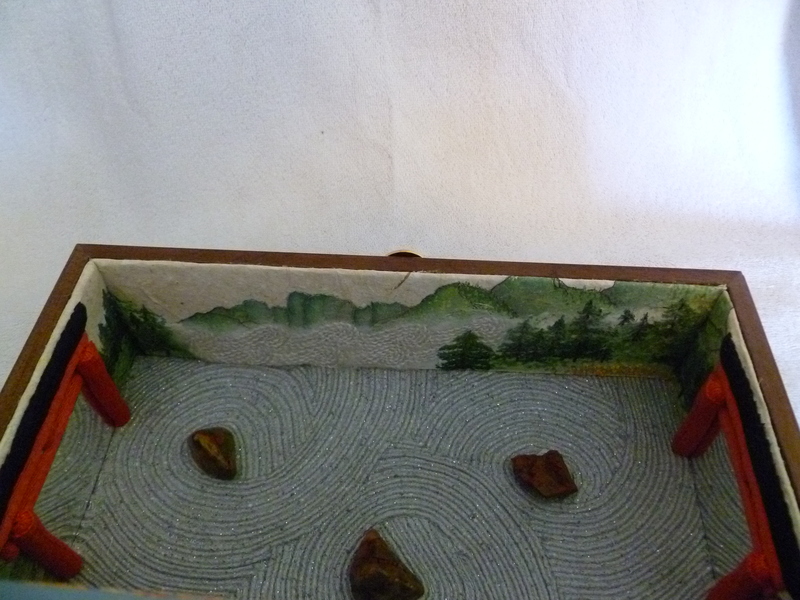 The swirl used as the base pattern for the gravel is non-divisible because the entire set of swirls together is needed to create the pattern. 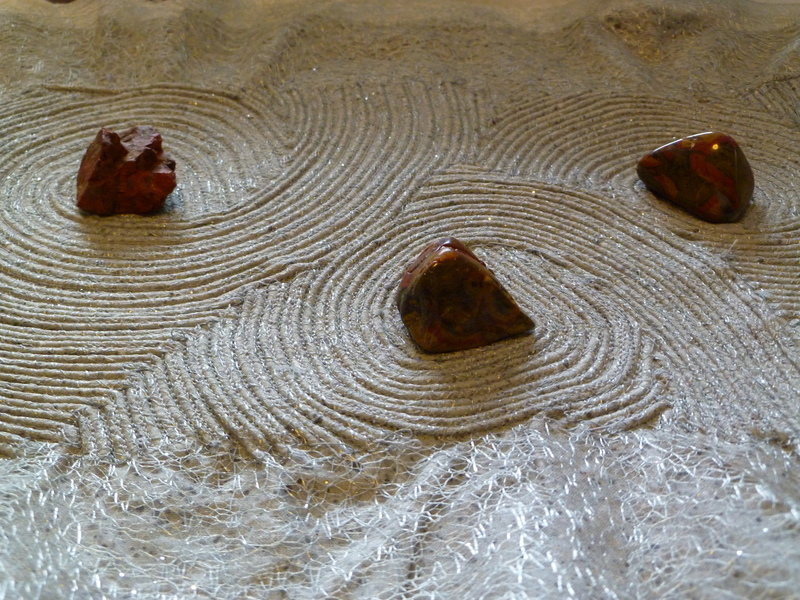 Each swirl’s base line was adjusted to reflect the shape of its particular stone. The swirls are flipped in a pattern that demonstrates alternating rhythm in the garden’s main courtyard. 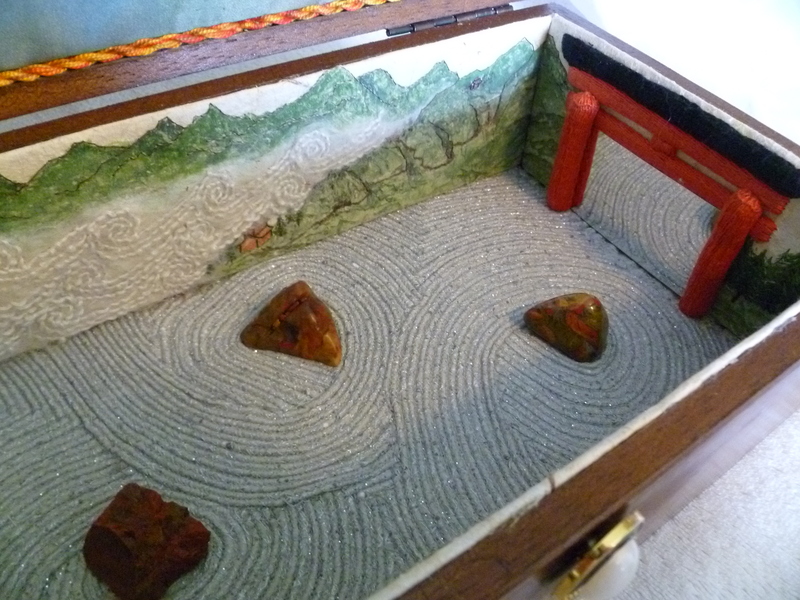 This adds interest while keeping the focus on the stones in each spiral’s center. Pattern is also a part of the geometric design on the outside lid of the box and can help us think about how people are the same, yet different. 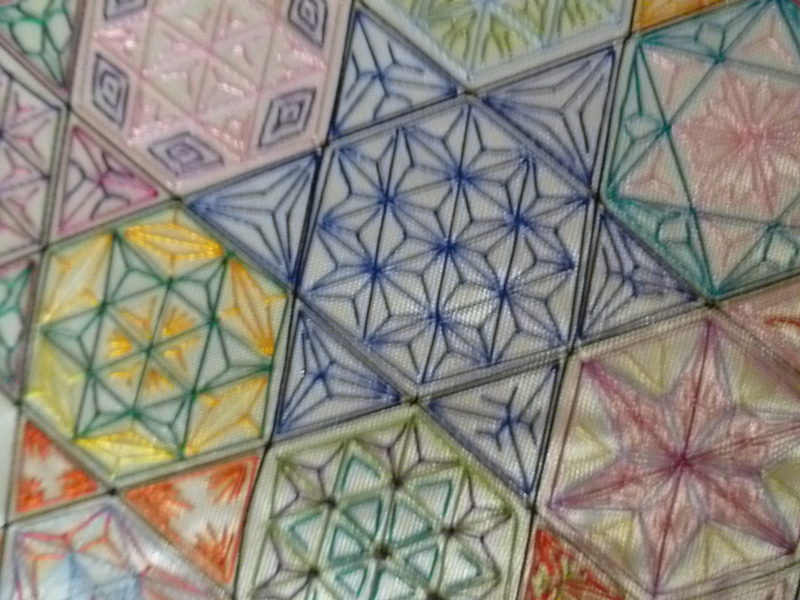 One of the fascinating parts about the Chinese Geometrics technique is that all of the internal design is created by a single embroidery s titch – the Fly Stitch. By varying the length of the ‘arms’ of the stitch you can create a vast number of variations from a single concept. 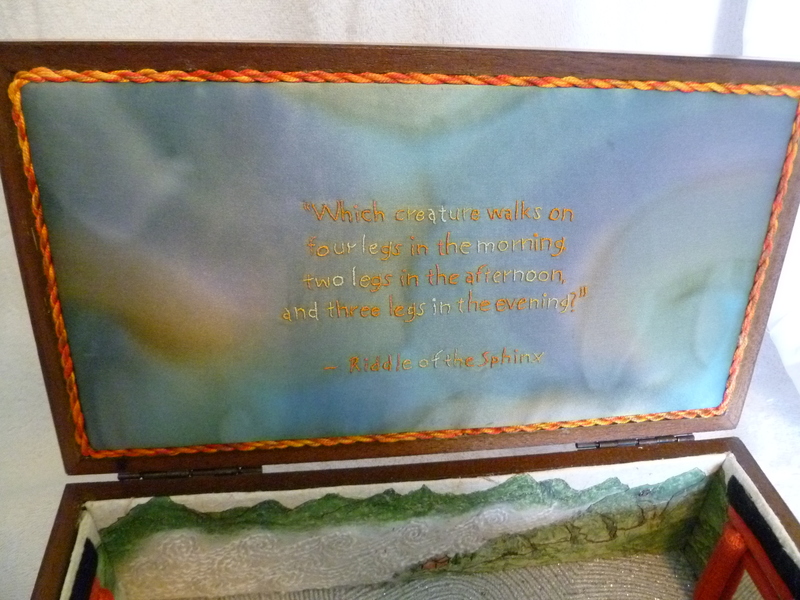 I chose to limit the variations I used to keep the design from becoming chaotic, but if you examine the original inspiration for the outside lid you will be amazed at the number of variations from a single simple stitch. The piece’s interest is created by color as well as fly stitch variations. This helps us think about how much variety can come from simple tools and materials. Do not we all have basically the same bodies, yet each person is unique and beautiful. 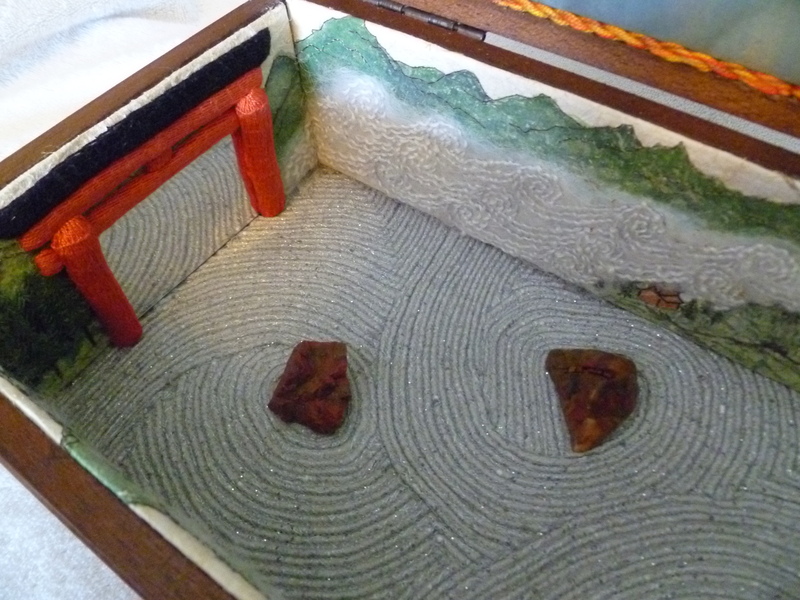 As I have shared some of the design features of my Zen Garden box I have also shared some of my ideas and reflections on the lessons it makes visual. I invite you to share what you find as you reflect on the Zen of Life. Asymmetrical balanced is used in the placement of the clouds along the long sides of the box interior. The clouds are meant to represent some of the difficulties that can make our journey through life a challenge. While the garden space itself is calm, the surrounding area is full of ambiguity and the way is often unclear, much like our lives. Clouds obscure, like the challenges in our lives, yet they also create interest. The areas the clouds cover are roughly the same, but the side panels are flipped when they are placed in the box. They offset each other, changing the rough symmetrical balance into an asymmetrical arrangement. A simpler example of asymmetrical balance is the larger trees on the left that balance the sloping hill on the right. This photo is of the work in progress. 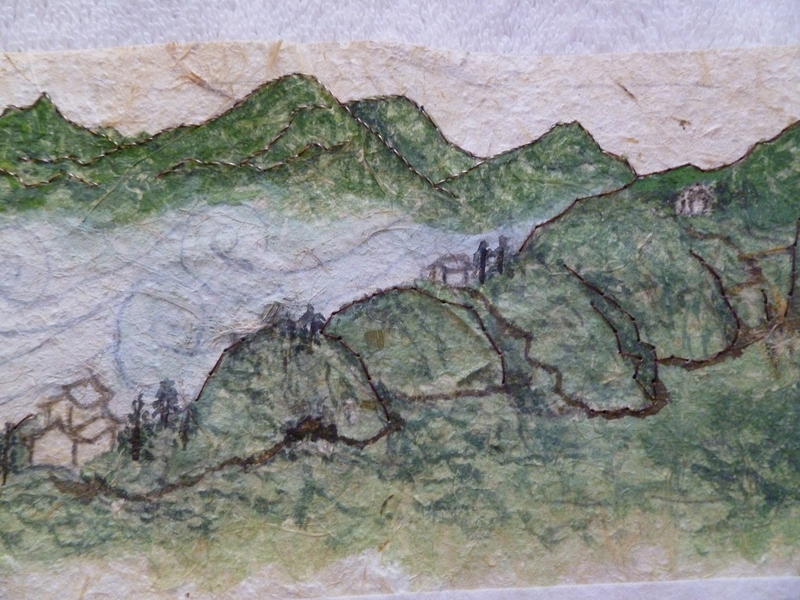 You can see that the houses and clouds have not been stitched and the paths are only partially finished. The path through the mountains is an example of a progressive rhythm. 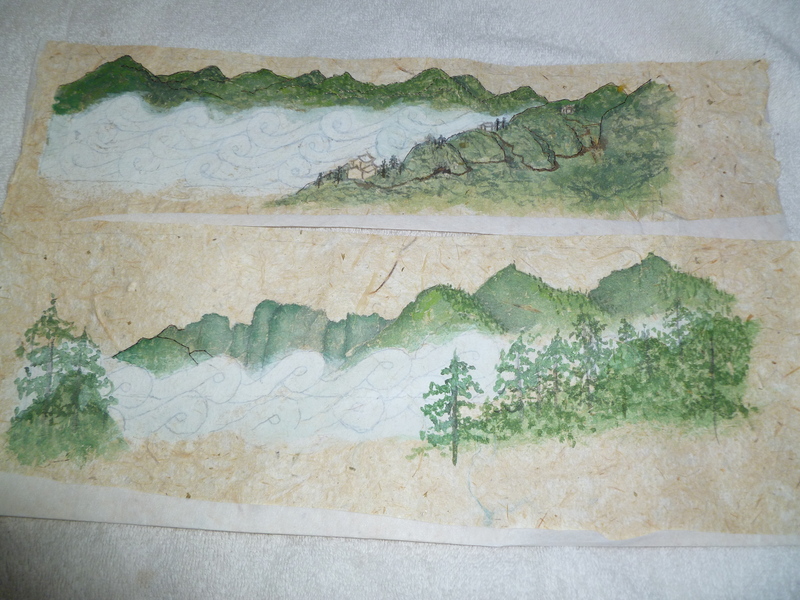 The mountains are painted in a stylized manner consistent with the traditions of Chinese landscape painting. Each of the mountains has a similar rounded shape and their size decreases as they overlap and recede into the distance. The same is true of the small red houses that perch on their slopes. The houses are all based on the same basic design that has been adapted to indicate distance by using a progressive rhythm. The path to the top of the mountain is clear, and there are homes/rest stops along the way where a traveler can receive help, but it is still a long road with many lonely stretches and the clouds that will fill the background stand ready to move in and make the trip more difficult. I imagine that by the time the traveler reaches her final destination, she will have lots of interesting tales to tell about her journey. If the way was clear, her story would be less interesting.